90% of Sumatran tiger habitat has been lost to palm oil plantations. Fewer than 400 Sumatran tigers exist today. Rainforests are being cut and burned at an alarming rate to clear land for palm oil tree plantations. Every hour, land equivalent to 300 football fields is lost – leaving tigers with an ever shrinking and more fragmented habitat. 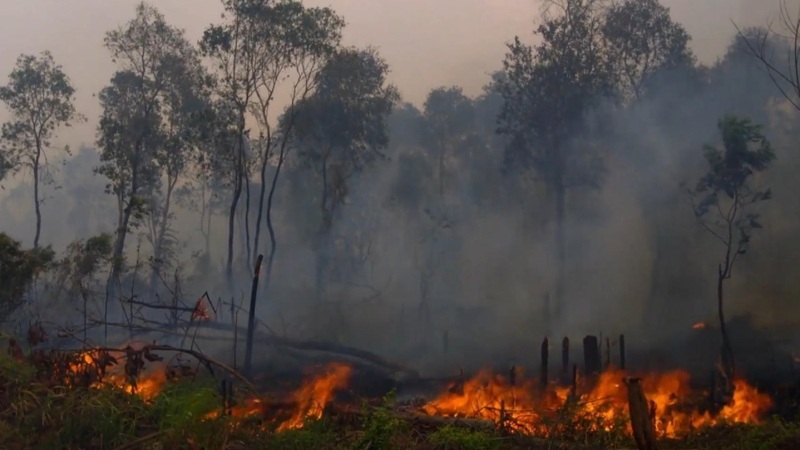 In addition to critical habitat loss, palm oil plantation practices contribute to air pollution, soil and water pollution, soil erosion, climate change, and have devastating impacts on the indigenous people who have relied on the rainforest for generations. Palm oil is found in 50% of household products that Americans use every day. Over 25 different common ingredients in consumer products are derived from palm oil. Wild tiger populations have decreased from 100,000 individuals to 3,800 in just 100 years. Three of the nine tiger subspecies are already extinct, with habitat destruction as one of the main contributors to the tiger’s decline. 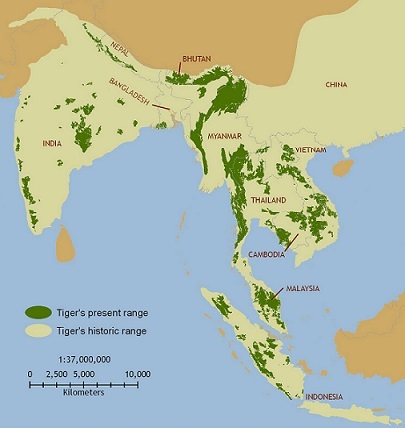 Wild tiger habitats have decreased by 93% over the past 100 years. Palm oil plantations are not only taking wild habitat from Sumatran tigers, but also from other tiger subspecies, rhinoceros, clouded leopards, orangutans, and many more species. Contact the customer service lines of your favorite consumer products and let them know you want them to stop using palm oil and palm oil-derived ingredients. When you shop, scan for palm oil along with other ingredients you try to avoid – there are alternatives and some companies are increasingly using other oils. Because palm oil is in so many consumer products, it can be difficult to avoid buying products that use palm oil. The good news is, if you can’t avoid it, you can look for palm oil that was produced in an environmentally responsible, sustainable way. Independent certification agencies can verify producers who are using best practices to protect the communities and habitats where their palm oil is produced. Look for products with the RSPO (Roundtable on Sustainable Palm Oil) label to ensure that the products you’re buying are made with certified sustainable palm oil. Products with the Green Palm label are transitioning to certified sustainable palm oil. You can learn more about palm oil production and the problems it presents to the environment and to the survival of many different species. Many organizations are working hard to help educate the public about this critical issue. Here are links with additional information. Ready to take what you have learned to the store? The Cheyenne Mountain Zoo has created an app for Apple and Android that will help you buy products made with sustainable palm oil. Click here to download the app.